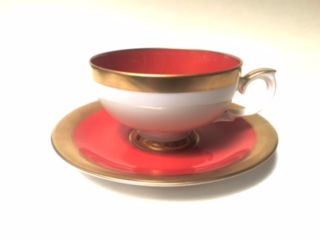 Weimar Porcelain orange red and white cup/saucer set with gold rim. Orange red interior. Cup diameter is 3 7/8", 2 1/4" height and 6" saucer.